THE EARTH’S IONOSPHERE. It’s both a blessing and a curse. Together with the magnetosphere, it helps to protect life on our planet from the damaging outpour of particle and electromagnetic radiation from the sun. In particular, it absorbs a lot of the extreme-ultraviolet (EUV) radiation arriving at the Earth. In fact, that is primarily how the ionosphere is formed. The EUV energy strips off the outer electrons of atmospheric gases producing a plasma of free electrons and ions. The ionosphere has another beneficial role in that it permits long distance radio communication using high-frequency (HF) or shortwave signals. Although its use is in decline since the advent of the Internet, HF is still in use by some broadcasters and military organizations and is indispensible during natural disasters when electricity grids and network links go down. But the ionosphere can be a pain, too, particularly for GNSS users. The signals from GNSS satellites must travel though the ionosphere on their way to receivers on or near the Earth’s surface. The signals are perturbed by the presence of the free electrons causing an advance in the phase of a signal’s carrier and a delay in the arrival of the pseudorandom noise code modulation (due to the refractive index being frequency dependent or dispersive) and so there is a contribution to carrier-phase and pseudorange (code) measurements, which must be accounted for when determining positions, velocities, and time (PVT) from the measurements. Again, since the ionosphere is a dispersive medium, by linearly combining simultaneous measurements (either pseudoranges or carrier phases) on two frequencies such as the GPS L1 and L2 frequencies, an observable virtually free of ionospheric effects can be constructed and used for PVT determinations. This approach does require, however, a dual- or multi-frequency receiver. Single-frequency receivers (or the post-processing of single-frequency data) require the use of a model to account for the ionospheric biases as much as possible. The GPS navigation message, for example, includes values of the parameters of a simple ionospheric model. But, on average, its accuracy is only around 50%. More accurate ionospheric corrections can be acquired from elsewhere, even in real time, such as those from satellite-based augmentation systems. But there is another ionospheric effect that can play havoc with GNSS signals: scintillations. These are rapid fluctuations in the amplitude and phase of the signals caused by small-scale irregularities in the ionosphere. When sufficiently strong, scintillations can result in the strength of a received signal dropping below the threshold required for acquisition and tracking or in causing problems for the receiver’s phase lock loop resulting in many cycle slips. The occurrence of scintillations depends on many factors including solar and geomagnetic activity, time of year, time of day, and geographical location. In particular, scintillations are most prevalent in equatorial and polar (Arctic and Antarctic) regions. And the processes involved are not fully understood, hindering our ability to model and predict scintillations. In an effort to help improve the monitoring, mapping, and modeling of scintillations, a team of researchers led by Prof. Jade Morton is monitoring high-latitude and equatorial scintillations and they discuss some of their preliminary results in this month’s column. 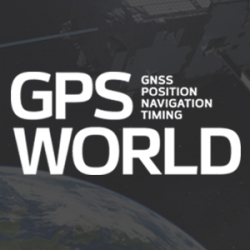 “Innovation” is a regular feature that discusses advances in GPS technology and its applications as well as the fundamentals of GPS positioning. The column is coordinated by Richard Langley of the Department of Geodesy and Geomatics Engineering, University of New Brunswick. He welcomes comments and topic ideas. Write to him at lang @ unb.ca. Among other effects of the Earth’s ionosphere on GPS and other GNSS signals, scintillation is potentially the most problematic. Ionospheric scintillation refers to the random amplitude and phase fluctuations of radio signals after propagating through plasma irregularities. These irregularities occur more frequently in high-latitude and equatorial regions, especially during solar maxima. Occurrence of scintillation is difficult to predict and model because of the complexity of the ionosphere’s internal mechanisms and solar activities that are the driving forces of space weather phenomena. GNSS signals are particularly vulnerable to scintillation, as strong scintillation can severely impact the acquisition and tracking processes in GNSS receivers, causing degradation in positioning accuracy and even loss-of-lock. With the increasing reliance on GNSS applications, understanding the characteristics of ionospheric scintillation and its effects on GNSS signals and receivers has become an important topic and has gained worldwide attention from both ionospheric scientists and GNSS engineers. Since 2009, our research group has established several ionospheric scintillation monitoring and data collection systems located in high-latitude and equatorial regions. The results presented here are based on data collected from a specialized commercial dual-frequency GPS ionospheric monitoring receiver at Gakona, Alaska (62.4°N, 145.2°W), and a commercial multi-system, multi-frequency GNSS ionospheric monitoring receiver located at Jicamarca, Peru (11.9°S, 76.9°W). Measurements are filtered to remove slowly varying trends caused by satellite-receiver dynamics, receiver oscillator errors, the background ionosphere and troposphere gradient, and other potential contributions from multipath and man-made interferences. Scintillation events above preset threshold levels from the filter outputs are extracted for analysis. The threshold levels are set based on two commonly used scintillation indices, the S4 index and σφ , which are defined as the standard deviations of the detrended signal amplitude and carrier phase to represent the magnitude of signal intensity and phase fluctuation, respectively. In the study discussed in this article, the thresholds for S4 and σφ are 0.15 and 15°, respectively for high-latitude measurements. For low-latitude data, the threshold for S4 is raised to 0.2 to accommodate stronger amplitude scintillation, while the threshold for σφ remains 15°. From data collected at Gakona, between August 2010 and March 2013, we extracted 655 amplitude and 2,355 phase-scintillation events from 657 equivalent days of data, while from data collected at Jicamarca, we extracted about 830 amplitude and 1,100 phase-scintillation events from 190 days of data collected from November 2012 to June 2013. Based on these events, we established a number of amplitude and phase scintillation distributions, which include scintillation-index-magnitude distributions, event-duration distributions, and event-occurrence frequency distributions. These results show very different characteristics of scintillation observed at low latitudes and high latitudes, indicating that there must be different mechanisms contributing to the formation and evolution of ionosphere plasma irregularities in the two regions. These characteristics are useful for scintillation-event prediction and modeling in the future. FIGURE 1 illustrates the general architecture of the event-driven GNSS data collection system. The system hardware consists of a multi-band GNSS antenna, a commercial ionospheric scintillation monitor (ISM) receiver, an array of reconfigurable software-defined radio (SDR) radio-frequency (RF) front-end devices capable of sampling intermediate-frequency (IF) signals, one or multiple data collection servers, a data storage array, timing signal distribution hardware to ensure both time and frequency consistency across all RF front ends and receivers, and network/communication devices that allow remote access of the receivers and servers to monitor the status of the hardware, to query recorded data, and reset and reconfigure the data collection system. FIGURE 1. General architecture of the event-driven GNSS data collection system deployed at several high-latitude and equatorial sites since 2009. Custom-designed space weather event monitoring and trigger software resides on the data collection and control server. The ISM receiver operates continuously to produce and record routine measurements such as I and Q channel accumulator outputs, pseudorange, carrier phase, Doppler frequency, C/N0, and scintillation indices, while the SDR RF front ends only temporarily store the latest one-minute worth of IF samples in each device’s circular buffer. Scintillation event thresholds are pre-determined based on analysis of baseline data collected at the same local site using the same hardware. The real-time event trigger software compares ISM receiver measurements with the pre-set event threshold. If the measurements exceed the thresholds, the contents of the circular buffers will be written to the data storage array until after the event subsides. These raw IF samples are then further post-processed using a wide range of receiver processing algorithms for analysis of scintillation features and robust receiver algorithm development. The high-latitude GNSS receiver array at Gakona, was initially established in 2009 and has been continuously evolving into a four-antenna array capable of collecting GPS L1, L2C, and L5 and GLONASS L1 and L2 signal data until its recent relocation to and upgrade at Poker Flat Research Range, north of Fairbanks. Several publications have discussed the system setup, receiver signal processing of data collected by the system, and characterization of high-latitude scintillations based on analysis of the array outputs (see Further Reading). In this article, only the data collected using the commercial ISM receiver are discussed because this is the longest operating receiver at this site. The receiver outputs L1C/A signal intensity and carrier-phase measurements at a rate of 50 Hz and semi-codeless tracking results of L2P(Y) at 1 Hz. Since 2011, several GNSS data collection systems have been deployed at low-latitude locations, including Hong Kong, Singapore, Peru, Ascension Island, and Puerto Rico. In this article, we use results from the ISM receiver at Jicamarca, Peru, close to the geomagnetic equator. FIGURE 2 shows the data-collection-system-setup block diagram at Jicamarca. The ISM receiver used in this location generates 100-Hz carrier-phase measurements and I/Q channel correlator outputs; the latter are further processed to generate 50-Hz signal-intensity measurements for GPS L1C/A, L2C, and L5 signals and GLONASS, Galileo, and BeiDou open signals. Seven SDR front ends driven by the same oven-controlled crystal oscillator (OCXO) signal from the ISM receiver sample GPS, GLONASS, Galileo, and BeiDou open signals. Preliminary results obtained from these and other low-latitude SDR data have been presented in several papers in the archived literature (see Further Reading). The raw carrier-phase and signal-intensity measurements obtained from the two ISM receivers at Gakona and Jicamarca were detrended, from which the two scintillation indices S4 and σφ were computed using Equations (1) and (2). In the two equations, I and φ stand for detrended signal intensity and carrier phase, respectively, and <·> represents the expected value that is essentially the average value over the interval of interest. In this study, the interval of interest was set to 10 seconds to most effectively highlight scintillation features based on evaluations of several different time intervals between 10 and 60 seconds. The elevation angle mask is 30° to reduce multipath effects. The thresholds for S4 and σφ are 0.15 and 15° respectively for data collected at Gakona. For Jicamarca data, the thresholds are 0.2 and 15° respectively. To exclude interference cases, the index value has to remain above the threshold value for a minimum of 30 seconds to qualify as a scintillation event. An event detected within 5 minutes of the end of another event is combined as one event with the previous one. Scintillations experienced by multiple satellite signals simultaneously are treated separately, and events experienced simultaneously for all visible satellites are further analyzed to ensure that they are not caused by interferences. Carrier cycle slip/loss-of-lock detection and repair procedures are implemented to determine whether these cases are caused by scintillation or other factors. It is important to note that the above criteria and procedures contain some degrees of arbitration, especially the last two, as they were applied based on visual inspections. These artificially imposed rules nevertheless are necessary for statistical analysis and comparison of scintillation observations. In this section, we discuss the data sets we have collected and analyzed. Available Dataset from Alaska and Peru. The ISM receiver at Gakona, started recording effective GPS data in August 2010. Environmental issues and human factors lead to a few intermittent data gaps during the more than three and a half years of data recording. TABLE 1 lists monthly normal operation days and the percentage of time when data were collected. In all, the results presented in this article are based on approximately 3,000 scintillation events extracted from 657 days’ worth of data that was collected in a time span of 32 months. Similarly, the number and percentage of days of effective data from Jicamarca, are summarized in Table 2. The dataset from this location runs from November 2012 until June 2013. Roughly 2,000 scintillation events have been extracted to enable statistical comparison of characteristics of scintillation observed in high- and low-latitude regions. Scintillation Indicator Distributions. The magnitudes of the two scintillation indices, S4 and σφ , are often used to indicate the intensity of ionospheric scintillation, as their values directly reflect the disturbance rate of received power and carrier-phase measurements. Although there have been discussions regarding the suitability of σφ as a phase scintillation indicator, it is, nevertheless, a measure of the magnitude of carrier variations in a certain spectral range that are related to scintillation activities. In the absence of a commonly accepted new indicator for phase scintillation, we will use σφ in this study simply as a means to measure the phase fluctuations. FIGURE 3 compares the intensity distributions of amplitude and phase scintillation observed at the Alaska (square markers) and Peru (triangle markers) sites. MaxS4/σφ in the figures is the peak S4 or σφ value during an amplitude or phase scintillation event, which is a more practical indicator of scintillation impact on GNSS receivers. FIGURE 3. Maximum S4 and σφ distributions of (a) amplitude and (b) phase scintillation observed at Gakona, Alaska, and Jicamarca, Peru. Figure 3a shows that amplitude scintillation events observed at Jicamarca are generally more intense than those observed at Gakona. This is consistent with most previous studies, which concluded that scintillation is the most intense in the equatorial region. Figure 3b, on the other hand, shows that the intensity of phase scintillation at Jicamarca is slightly lower than that at Gakona. Nevertheless, this result does not necessarily reflect scintillation intensity observed in other parts of the equatorial region, as Jicamarca is not located close to the equatorial anomaly crest where scintillation activity is the strongest. The duration of a scintillation event is another indicator of scintillation’s negative impact on the acquisition and tracking processes in receivers. FIGURE 4 plots the amplitude and phase event duration probability distributions, with the mean event durations at each site shown in the plots. The results show that at Gakona (square markers), phase scintillation lasts much longer than amplitude scintillation. At Jicamarca (triangle markers), amplitude scintillation events last slightly longer than the phase ones on average, and both types have much longer durations than those at high latitudes. FIGURE 4. Duration distributions of (a) amplitude and (b) phase scintillation events observed at Gakona, Alaska, and Jicamarca, Peru. Ionospheric scintillation of combined high intensity and long duration is usually considered a big threat to signal processing in GNSS receivers. Unfortunately, these two aspects are often correlated, especially at low latitudes. Moderate correlation coefficient values have been observed between scintillation durations and the magnitudes of scintillation indicators at Jicamarca (FIGURE 5b). The correlations, however, are much smaller at Gakona (FIGURE 5a), especially for amplitude scintillation events. These results further confirm that scintillation is a more severe issue in the equatorial region. FIGURE 5. Scintillation duration vs. intensity at (a) Gakona, Alaska, and (b) Jicamarca, Peru. Scintillation Occurrence Frequency and Relating Factors. We define the scintillation occurrence frequency as the number of scintillation events recorded during a certain time interval, which can be an hour, a day, a month, a season, and so on. The occurrence frequency is an important indicator in scintillation monitoring and forecasting, as it helps to identify the periods when scintillation events are most likely to occur. FIGURE 6 illustrates scintillation hourly occurrence probabilities at the two sites with respect to Coordinated Universal Time (UTC) (upper) and hours post sunset (lower). Also consistent with numerous previous research findings, scintillation at high latitudes was more frequent during nighttime than at other times. Scintillation observed at Jicamarca occurred more frequently at night as well, but was greatly concentrated between one and two hours post sunset and midnight. Statistics show that 98% of Jicamarca’s scintillation events were observed from one to six hours after local sunset. FIGURE 6. Scintillation occurrence frequency with respect to UTC hours and hours after sunset at (a) Gakona, Alaska, and (b) Jicamarca, Peru. As demonstrated in Figure 6, scintillation occurrence frequency is largely influenced by solar inputs, which are the main driving force in atmospheric ionization and ionospheric irregularity formation. Scintillation occurrence can also be affected by geomagnetic activities. FIGURE 7 shows how scintillation occurrence frequency was affected by solar activity and seasons. The four seasons are defined as: spring (SP) – March to May; summer (SU) — June to August; fall (FA) — September to November; and winter (WI) – December to February. The intensity of solar activity is indicated by the smoothed average sunspot numbers, which are marked as black dots in the plot. FIGURE 7. Seasonal scintillation occurrence frequency and smoothed sunspot number. Several phenomena can be observed in Figure 7. At Gakona, scintillation occurrence frequency is clearly influenced by solar activity. The occurrence frequency is also modulated by season, with equinoxes generally more active than adjacent solstices. In contrast to the half-a-year cycle at high latitudes, scintillation occurrence frequency at Jicamarca more closely follows a one-year cycle as described in previous research, and decreases largely in the summer. Our analysis also shows that the level of geomagnetic field activity also directly impacts scintillation occurrence frequency. FIGURE 8 shows the correlations between scintillation daily occurrence frequencies and Ap index values at the two sites. Ap is a widely used index that linearly reflects the daily average level of global geomagnetic field activity. Ap can be converted to the conventional Kp index using a quasi-logarithmic conversion table. The result in Figure 8a was obtained using data collected during seven months at Gakona: March and November 2011; March, July, October, and November 2012; and March 2013. During these months, scintillation activity was generally high. Figure 8b was generated using all the data listed in Table 2. Clearly shown in the plots, scintillation occurrence frequency at high latitudes is strongly correlated with geomagnetic field activities, while at Jicamarca such correlations do not exist. This result also confirms many previous research findings. FIGURE 8. Daily scintillation occurrence frequency with respect to Ap index value at (a) Gakona, Alaska, and (b) Jicamarca, Peru. This article presented comparative work on ionospheric scintillation characterization using data collected at Gakona, Alaska, and Jicamarca, Peru, during the current solar maximum to investigate the different natures of scintillation at high latitude and in equatorial regions. Scintillation intensity, duration, and occurrence frequency distributions were analyzed to demonstrate the differences at the two locations. Scintillation in the equatorial region is typically more severe with deeper and faster signal power fadings and longer durations. Also, low-latitude scintillation with stronger intensity usually lasts longer, which further contributes to its negative impact on receivers. At high latitudes, phase fluctuations overwhelmed amplitude scintillation by the number of occurrences and their duration. Scintillation is more frequent during nighttime, and almost all low-latitude scintillation events occur within six hours after local sunset. The overall occurrence frequency of scintillation not only increases with high solar activity, but also follows certain seasonal patterns. In general, scintillation is more active around the equinoxes. Additionally, high-latitude scintillation is also closely correlated to geomagnetic field activity, while the relationship is not obvious in the equatorial region. Lastly, we would like to point out that the results presented here are preliminary and may be restricted to local effects, especially at low latitudes. As more data become available from Jicamarca and other equatorial sites where SDR data collection systems ensure quality inputs during strong scintillation events, a more comprehensive analysis and comparison can be made to facilitate global scintillation monitoring, mapping, and modeling. The data collection and analysis project discussed in this article was supported by the U.S. Air Force Office of Scientific Research and Air Force Research Laboratory grants. The authors appreciate the support of High Frequency Active Auroral Research Program (HAARP) staff and the University of Alaska Fairbanks Geophysical Institute for organizing and sponsoring the HAARP campaign and HAARP staff support of the GNSS receiver data collection system setup. The authors would also like to acknowledge Jicamarca Radio Observatory for hosting the GNSS equipment. The Jicamarca Radio Observatory is a facility of the Instituto Geofisico del Peru, operated with support from the U.S. National Science Foundation through Cornell University. This article is based, in part, on the paper “Comparative Studies of High-latitude and Equatorial Ionospheric Scintillation Characteristics of GPS Signals” presented at PLANS 2014, the Institute of Electrical and Electronics Engineers / Institute of Navigation Position, Location and Navigation Symposium held in Monterey, California, May 5–8, 2014. The commercial ISM receivers used at Gakona and Jicamarca were a GPS Silicon Valley — now NovAtel Inc. — GSV4004B and a Septentrio N.V. PolaRxS Pro, respectively. YU JIAO is a Ph.D. candidate at the Colorado State University (CSU), Fort Collins, Colorado. She received her master’s degree in computational science and engineering from Miami University, Oxford, Ohio, in 2013 and her bachelor’s degree in electronic and information engineering from Beihang University (previously known as the Beijing University of Aeronautics and Astronautics), Beijing, China, in 2011. Her research interests are in GNSS signal processing and ionosphere effects on GNSS in both high-latitude and equatorial regions. YU (JADE) MORTON is an electrical engineering professor at CSU. She received a Ph.D. in electrical engineering from Pennsylvania State University (Penn State), State College, Pennsylvania, and was a post-doctoral research fellow in the Space Physics Research Laboratory of the University of Michigan, Ann Arbor, Michigan. Prior to joining CSU, she was a professor in the Department of Electrical and Computer Engineering at Miami University. Her research interests are advanced GNSS receiver algorithms for accurate and reliable operations in challenging environments, studies of the atmosphere using radar and satellite signals, and development of new applications using satellite navigation technologies. STEVE TAYLOR is a graduate student in the Department of Electrical and Computer Engineering at Miami University. He received his B.S. in computer science from Miami University in 2011. Taylor developed software systems for ionosphere space weather monitoring and has been involved in deployment of Dr. Morton’s research team’s GNSS data collection system in Alaska, Peru, Hong Kong, Ascension Island, and Puerto Rico. WOUTER PELGRUM is an assistant professor of electrical engineering at Ohio University, where he conducts research in and teaches about topics in electronic navigation, such as GNSS, Distance Measuring Equipment or DME, and time and frequency transfer. Before joining Ohio University in 2009, he worked in private industry, where he contributed to the development of an integrated GPS-eLoran receiver and antenna. From 2006 until 2008 he operated his own company, specializing in navigation-related research and consulting. “Comparative Studies of High-latitude and Equatorial Ionospheric Scintillation Characteristics of GPS Signals” by Y. Jiao, Y. Morton, and S. Taylor in Proceedings of PLANS 2014, the Institute of Electrical and Electronics Engineers / Institute of Navigation Position, Location and Navigation Symposium, Monterey, California, May 5–8, 2014, pp. 37–42, doi: 10.1109/PLANS.2014.6851355. “Ionospheric Scintillations: How Irregularities in Electron Density Perturb Satellite Navigation Systems” by the Satellite-Based Augmentation Systems Ionospheric Working Group in GPS World, Vol. 23, No. 4, April 2012, pp. 44–50. “GNSS and Ionospheric Scintillation: How to Survive the Next Solar Maximum” by P. Kintner, Jr., T. Humphreys, and J. Hinks in Inside GNSS, Vol. 4, No. 4, July/August 2009, pp. 22–30. “GPS and Ionospheric Scintillations” by P. Kintner, B. Ledvina, and E. de Paula in Space Weather, Vol. 5, S09003, 2007, doi: 10.1029/2006SW000260. A Beginner’s Guide to Space Weather and GPS by P. Kintner, Jr., unpublished article, October 31, 2006. “Limitations in GPS Receiver Tracking Performance Under Ionospheric Scintillation Conditions” by S. Skone, K. Knudsen, and M. de Jong in Physics and Chemistry of the Earth, Part A: Solid Earth and Geodesy, Vol. 26, No. 6-8, 2001, pp. 613–621, doi: 10.1016/S1464-1895(01)00110-7. “Radio Wave Scintillations in the Ionosphere” — a review paper by C.K. Yeh and C.-H. Liu in Proceedings of the IEEE, Vol. 70, No. 4, 1982, pp. 324–360, doi: 10.1109/PROC.1982.12313. “Characterization of High Latitude Ionospheric Scintillation of GPS Signals” by Y. Jiao, Y. Morton, S. Taylor, and W. Pelgrum in Radio Science, Vol. 48, 2013, pp. 698–708, doi: 10.1002/2013RS005259. “Statistics of GPS Scintillations over South America at Three Levels of Solar Activity” by A.O. Akala, P.H. Doherty, C.E. Valladares, C.S. Carrano, and R. Sheehan in Radio Science, Vol. 46, No. 5, October 2011, doi: 10.1029/2011RS004678. “Measuring Ionospheric Scintillation in the Equatorial Region over Africa, Including Measurements from SBAS Geostationary Satellite Signals” by A.J. Van Dierendonck and B. Arbesser-Rastburg in Proceedings of ION GNSS 2004, the 17th International Technical Meeting of the Satellite Division of The Institute of Navigation, Long Beach, California, September 21–24, 2004, pp. 316–324. “Effects of the Equatorial Ionosphere on GPS” by L. Wanninger in GPS World, Vol. 4, No. 7, July 1993, pp. 48–54. “An Improved Ionosphere Scintillation Event Detection and Automatic Trigger for GNSS Data Collection Systems” by S. Taylor, Y. Morton, Y. Jiao, J. Triplett, and W. Pelgrum in Proceedings of ION ITM 2012, The Institute of Navigation 2012 International Technical Meeting, Newport Beach, California, January 30 – February 1, 2012, pp. 1563–1569. “Triple Frequency GPS Signal Tracking During Strong Ionospheric Scintillations over Ascension Island” by M. Carroll, Y.J. Morton, and E. Vinande in Proceedings of PLANS 2014, the Institute of Electrical and Electronics Engineers / Institute of Navigation Position, Location and Navigation Symposium, Monterey, California, May 5–8, 2014, pp. 43–49, doi: 10.1109/PLANS.2014.6851356. “A Forecasting Ionospheric Real-time Scintillation Tool (FIRST)” by R.J. Redmon, D. Anderson, R. Caton, and T. Bullett in Space Weather, Vol. 8, No. 12, December 2010, doi: 10.1029/2010SW000582. “Specification and Forecasting of Scintillations in Communication/Navigation Links: Current Status and Future Plans” by S. Basu, K.M. Groves, Su. Basu, and P.J. Sultan in Journal of Atmospheric and Solar-Terrestrial Physics, Vol. 64, 2002, pp. 1745–1754, doi: 10.1016/S1364-6826(02)00124-4. “Perils of the GPS Phase Scintillation Index (sf)” by T.L. Beach in Radio Science, Vol. 41, RS5S31, 2006, doi: 10.1029/2005RS003356. “Problems in Data Treatment for Ionospheric Scintillation Measurements” by B. Forte and S.M. Radicella in Radio Science, Vol. 37, No. 6, 1096, 2002, pp. 8-1–8.5, doi: 10.1029/2001RS002508.